This is a page of photos of climbing at Clifton. 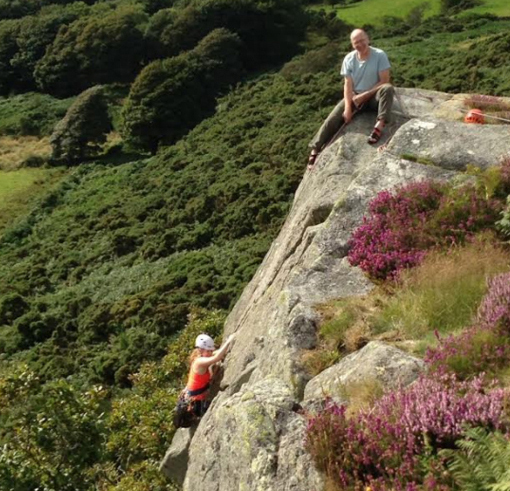 For a crag description and topos visit our Clifton Crag page. 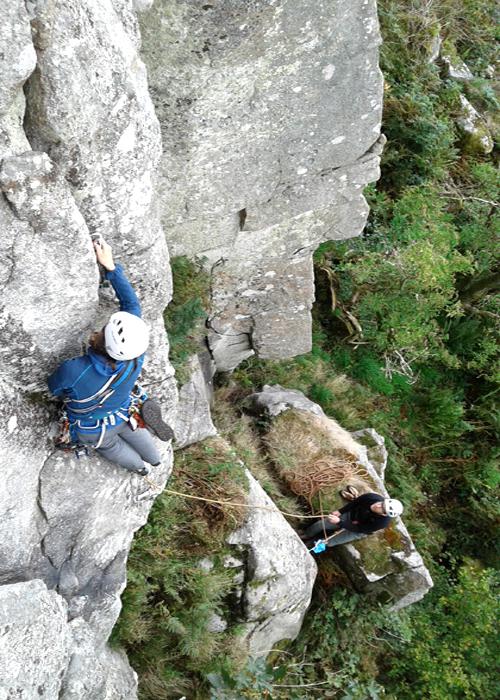 Linda Biggar belayed by Ron Yeadon on Novice Crack at Clifton, August 2018. 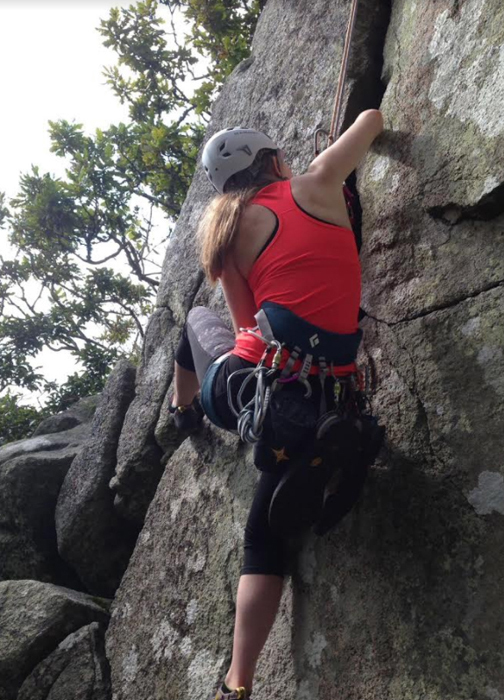 Alex climbing her first VS at Clifton in Kirkcudbrightshire, August 2017. The hard moves to start Dirl Chimney, VS 4c. Dave MacNicol finishing Tour de Force at Clifton Crag on a warm sunny afternoon, May 2015. This is probably the month when Clifton is at its finest - an incredible afternoon of good weather and climbing! My nephew Douglas using a slightly unorthodox "knee-squeeze" technique on Liplet at Clifton crag. Myself seconding the excellent "The Arête", July 2011. One of the best routes at Clifton, I was just checking it out for lichen etc, prior to leading it again later.... honest! 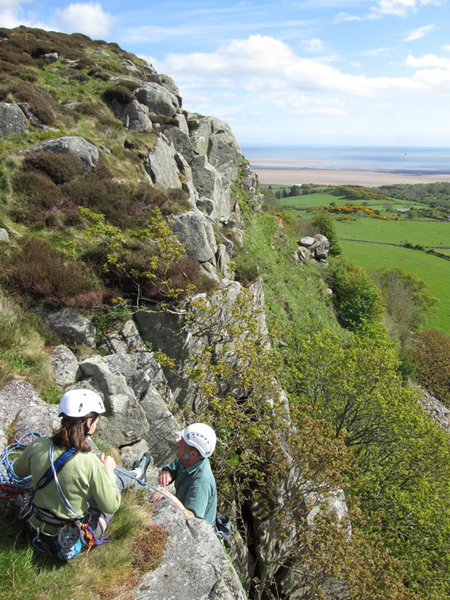 For a crag description and route topos visit our Clifton Crag page.